Rebecca’s face lit up as soon as she entered our home. 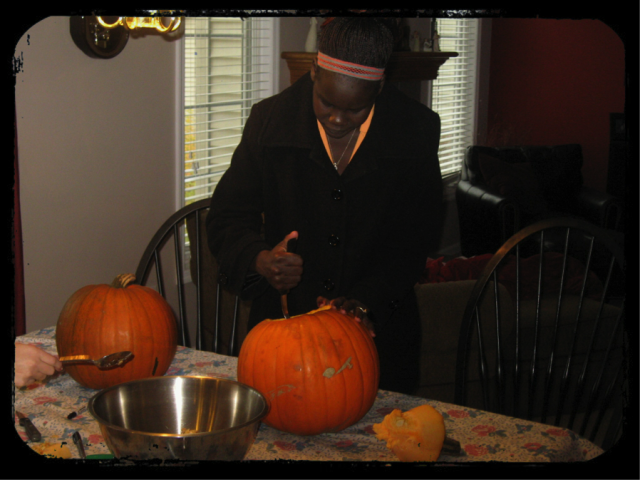 “Abudo!” she exclaimed as she looked at the pumpkins our kids were carving that Halloween afternoon. She began to tell me excitedly about how they have pumpkins in her country too, and asked if we ate them. I explained that some pumpkins were for eating, but these were for Halloween decorations – a friendly greeting for tonight’s trick-or-treaters on our front porch. Ever since her arrival in the United States five years ago, Rebecca’s curiosity about our American customs has been infectious. She loves to ask questions, and make connections with her own culture. She is Sudanese, with deep brown eyes and the most beautiful dark brown skin, her easy smile and laugh one of her most endearing qualities. Our son Samuel, who was resettled here 14 years ago as one of Sudan’s “Lost Boys”, had gone back to his homeland to be reunited with his family; and found a wife in the process. That Halloween night, she came to our house with our 2 month-old granddaughter, ready to learn about another holiday that was all new to her. I happily snuggled the baby while she joined in the pumpkin carving. 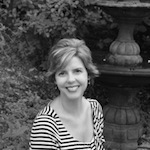 She didn’t hesitate even at the hated job of scooping all the slimy insides out; she just dug her hands in and laughed. She watched in fascination as our kids donned their costumes, and I tried to explain how they were going to walk through our neighborhood and collect candy at each house. Looking at it from her perspective, what a strange tradition it seems – you dress up, walk up to someone’s door, ring the bell and expect candy. As soon as dusk settled, Chris took our kids on their rounds while Rebecca and I stayed home with baby Yar to hand out candy. Each time the doorbell rang, she would echo, “din-don”; the doorbell still a novelty after only 4 months in America. She rushed to the door with anticipation each time a new group arrived, pointing and laughing at all the different costumes, mimicking the shouts of “trick or treat!” When our kids returned with their full plastic pumpkins, she admired the brightly wrapped treats, sampling several to find her favorites. There is much about Halloween that has always seemed to me about the simple, childish delight of play – creating fictional characters with costumes and pretending to be something else just for a while. Growing up, we weren’t allowed to celebrate the holiday, instead having a “harvest party.” Chris and I decided early on as parents that we wanted to reclaim the imaginative nature of Halloween for our kids. We have always focused more on that than some of the more ghoulish aspects of the holiday. Rebecca’s delight in her first-time experience brought me back to all the goodness of imagination, creativity, and play that night. Things that are so easily lost as an adult, living in a serious world. 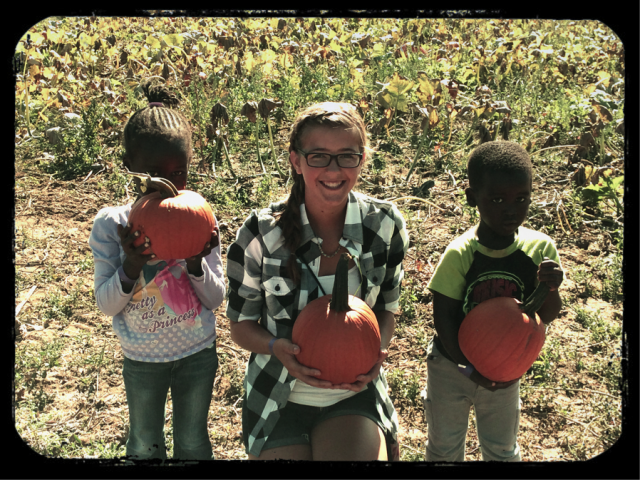 Last week, we took Rebecca and our now three grandchildren to the pumpkin patch. We walked through the fields, looking for the perfect abudo for each person. It was so fun to watch the enthusiasm she has passed down to her children, as they agonized over which pumpkin was the one. This year the two oldest will join in the neighborhood walk with Rebecca, Grandpa and Auntie Katie. I will happily pass out candy at home with baby Ayen’s help. And I just might be calling out “din-don” each time the doorbell rings, initiating Ayen into the playful spirit of Halloween. Janet, what an invitation to play. Your words “brought me back to all the goodness of imagination, creativity, and play that night. Things that are so easily lost as an adult, living in a serious world” really caught my attention. Where have I let the seriousness of the world steal my desire to play and imagine fun? I had planned to turn off the lights and not hand out candy this year. After reading this I’m going to rethink that plan to kill a place to delight and enjoy. Maybe I better go get some candy to offer. Thanks Janet. I’m so glad to see many reclaiming the wonderful joys of our childhood on this holiday. Love experiencing Halloween through your eyes and words. Thank you for including the wonder of your adopted family…they give Halloween a whole new spin! This is a beautiful picture of the fun and joy of the season that you family shares. Gosh I love seeing this through your eyes.